In Switzerland, more than 100,000 people today suffer from Alzheimer’s or another form of dementia. Dementia can lead to memory loss, problems with expression, problems recognising objects, people or familiar places. Assistance thus becomes necessary for every day actions like meals, personal care, activities or even decision-making or administrative organisation. While Alzheimer’s affects one person, it also touches his/her entourage. My Private Care provides support with care and also in everyday activities and leisure activities. This to guarantee with dignity the best quality of life possible while relieving the carers. Our experienced professionals ensure that treatment is taken regularly and support people to avoid accidents, which may be a factor of the condition worsening. My Private Care works in close collaboration with the care network to prevent and avoid falls. 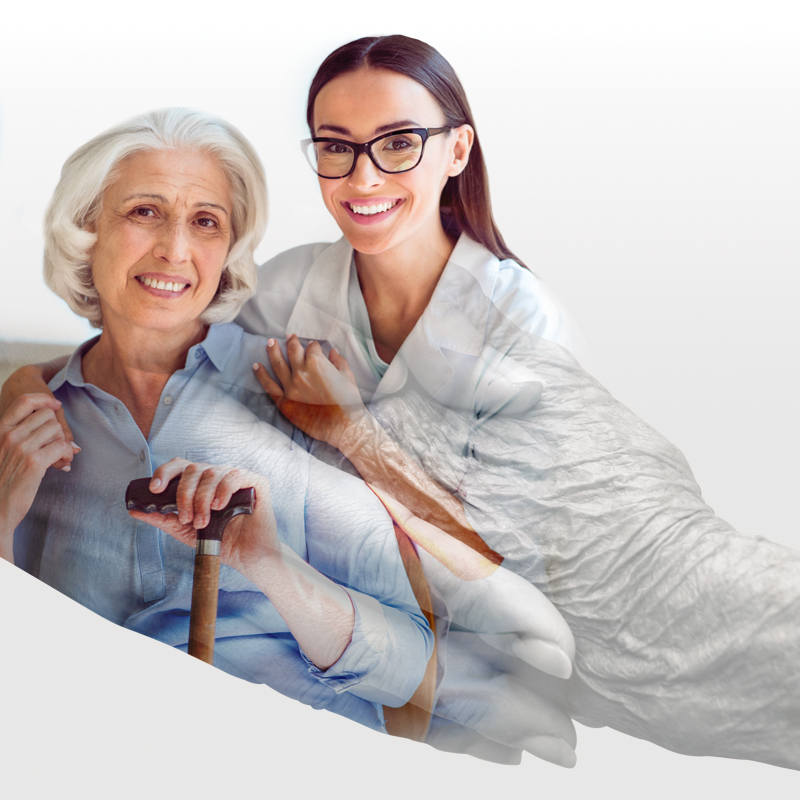 We pay particular attention to offering you experienced private carers with specific skills for each situation. Therapeutic massages can be offered, for example. Do you need care for you or your loved ones?